Howdy! Kudos to you guys on accepting such a healthy (and delicious) challenge. I could use that drink right now I think. It would probably kick the last of this cold bug right out of my system. Headed over jot down the recipe! You've still got the end of that cold??! Yep, you need a flubuster. Will have to work on one for you!! 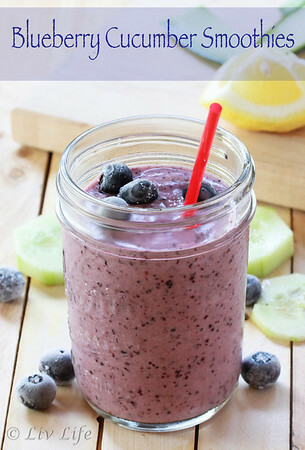 Your smoothie looks so refreshing, and healthy,too. Maybe I could even get Scott to try one, too. I bet you could Becky!! My husband loved his! I need to get on this challenge...a perfect healthy smoothie. Looks fabulous Kim! You are so smart and have so much fun coming up! I like the cucumbers in this smoothie! 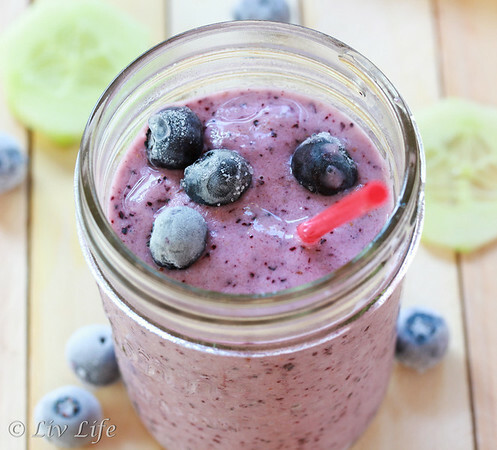 I've been eating fig smoothies with blueberries - blue is so much prettier than figgy brown and you get twice the antioxidants :) You look fabulous - have fun on your vaca to the Caribbean! it used to surprise me that a smoothie could pack enough oomph to hold me until lunch time - add more spinach indeed!